← The Game is Afoot at Mt. Ararat MS! 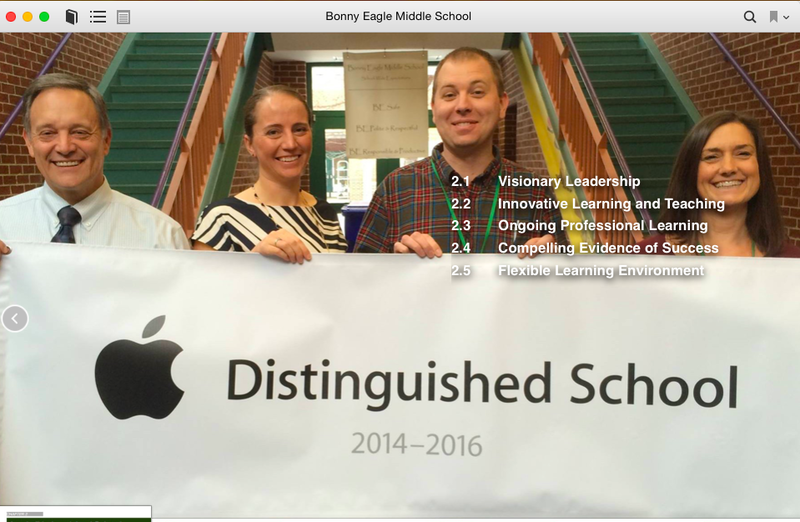 Bonny Eagle Middle School was named an Apple Distinguished School earlier this year. As part of the application process they had to compile their qualifications in an iBook publication. Since the book was first published they have continued to refine the content, polishing it like a rosy apple until it was perfect. Principal Mick Roy, now Assistant Superintendent of SAD # 6, commented that the process of writing the book was an extremely positive experience because so much reflection on their curriculum and program was involved. 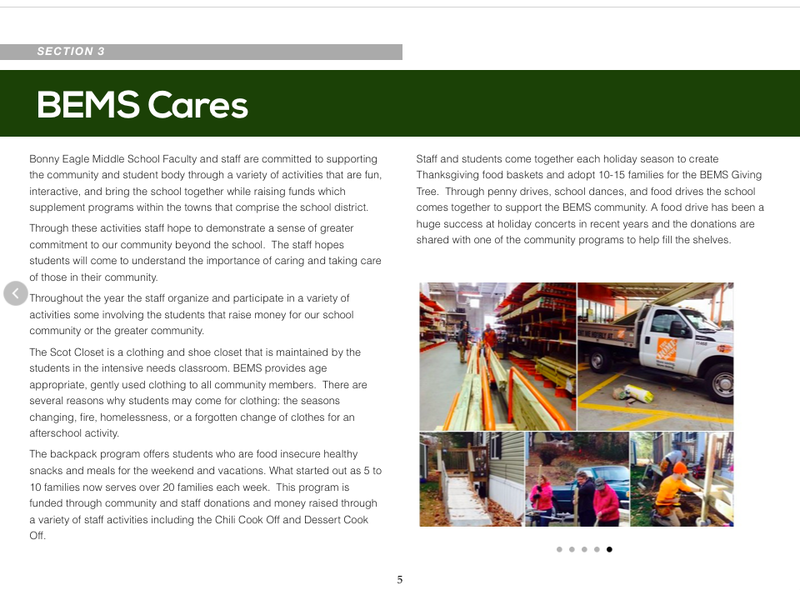 Creating an iBook is certainly an excellent way to demonstrate to the community the strengths and culture of a school. 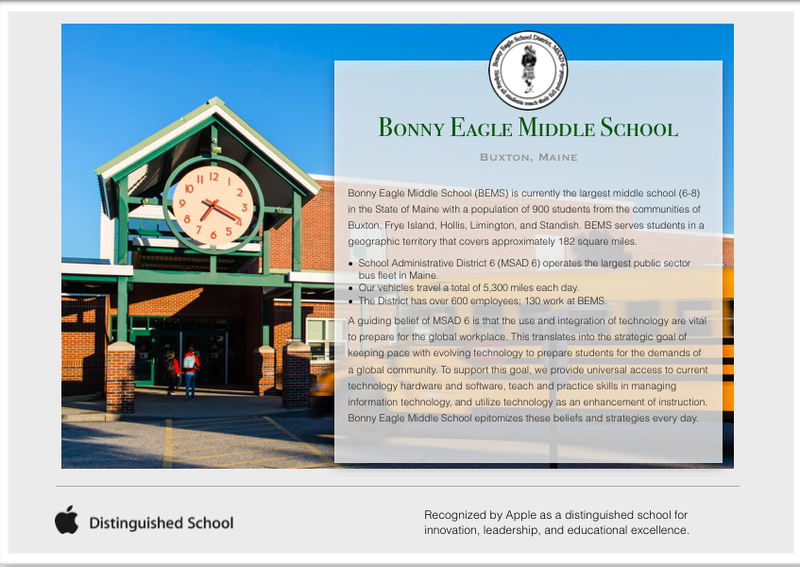 The Bonny Eagle iBook is a model other schools might want to explore as a possible way to tell their unique story. This entry was posted in Curriculum and Instruction, Good teaching, Stories from Middle Schools and tagged Bonny Eagle Middle School, iBook Author. Bookmark the permalink.